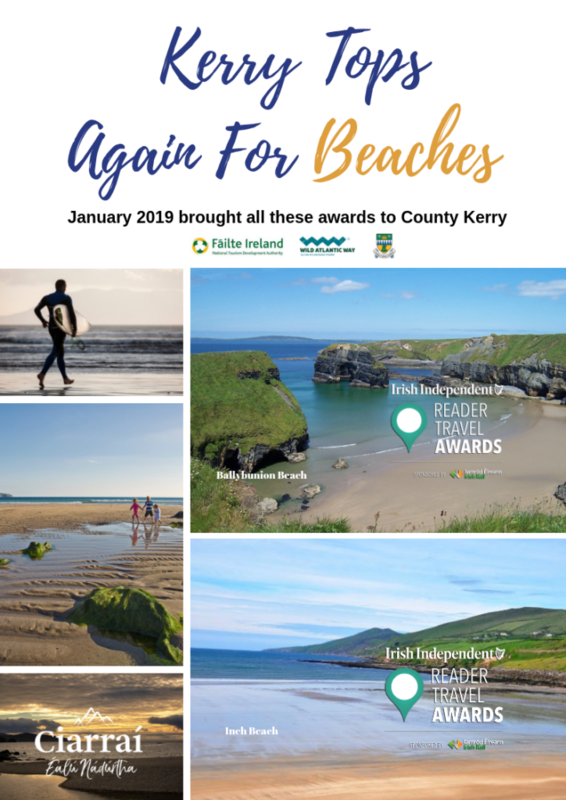 ‘The people, the beaches, the islands, the views, the stars, the wildlife, the food and the pubs…..it has everything…and a little extra too.’ Just one of the many comments from Irish Independent readers who voted Kerry as their No. 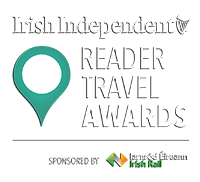 1 Home Holiday Destination in its Reader Travel Awards. 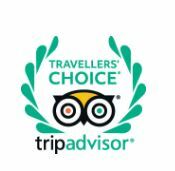 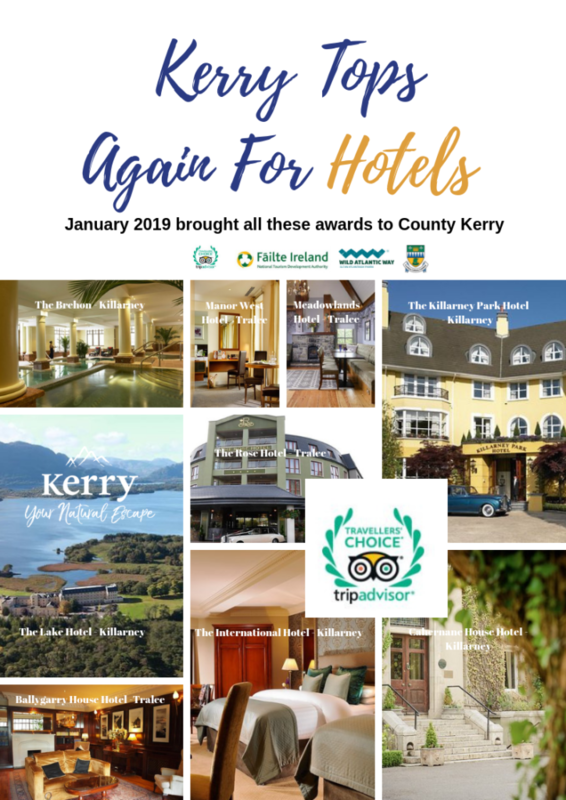 Kerry has been reaping awards with several hotels and guesthouses across the county also coming tops in various awards including Trip Advisor Travellers’ Choice Awards. 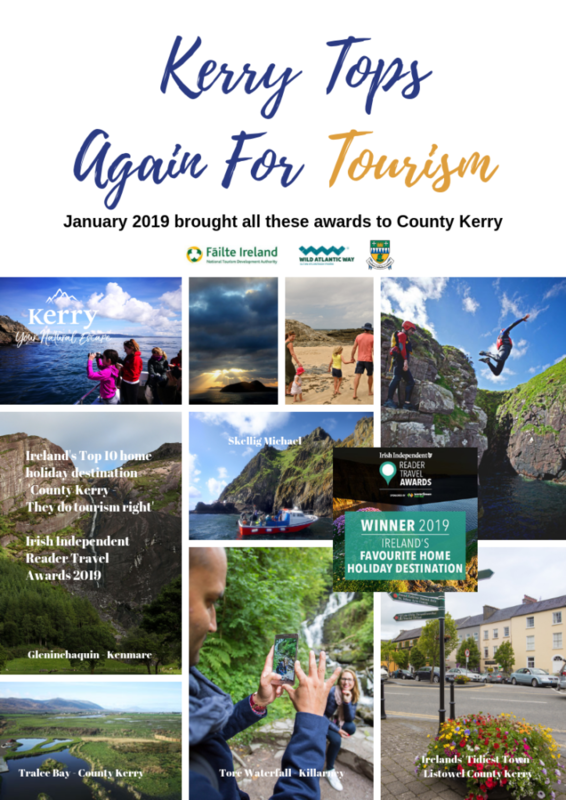 Be sure to make Kerry Your Natural Escape.